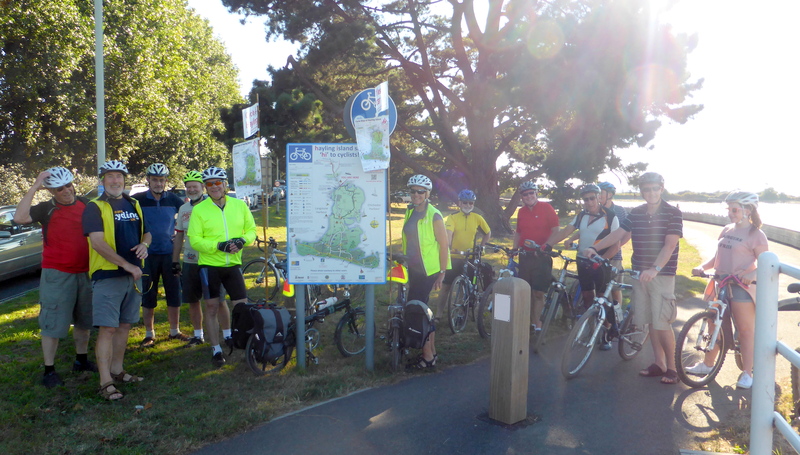 Cycle Hayling, in conjunction with Portsmouth CTC, will have a stall at the 3 Churches Fete to be held from 12.00 to 16.15 on Wednesday 13th August in Hayling Park. Come along and have a go at our Turbo Challenge (how far can you pedal from a standing start in 1 minute?) – We have 2 bikes (one adult size and one childs size) so anyone can have a go! Call in to find out all about Cycle Hayling and Portsmouth CTC or just to have a chat about any aspect of cycling. Looking forward to seeing you there! Money for local cycle projects! The Government has announced “A nationwide drive to promote cycling in cities and national parks across England”. This includes money specifically for cycle projects in the New Forest and South Downs national parks. See the announcement page for more detail. We understand that the approved projects include a cycle path through the Butser cutting. Some of you might have signed the petition organised by Cycle Hayling committee member Robert Sebley. Robert worked closely with Mike Ashton of Portsmouth CTC who worked on the bid. Our congratulations to Mike, Robert and everyone involved in this bid – it’s been a lot of work over several years! At the invitation of Headteacher Wendy Bolton, Cycle Hayling helped stage a cycling event on 11th June that involved all the pupils with bikes.